Finding the right super fund can be a daunting task but Bosco takes all the stress out of the process and can help you retire rich. With a variety of services from advice to administrative support and fund setup, we know how to help you achieve the Superannuation that works best for you. Choosing a Superannuation fund that suits you and your needs can be difficult as it has a major impact on your how your Super fund will perform. Bosco Accounting can find the right Super fund for you by discussing with you investment options, potential risks or benefits, and most importantly what you want from your Super fund. Bosco takes the hassle out of the process of setting up your Super by offering a Super fund setup service. If you have multiple Super funds we can also assist with the process of consolidating them so you don’t have to worry about where your money is. At Bosco we are experts at accounting for Superannuation funds as well as offering other related tax services. We simplify your finances for you to make sure you have less to worry about today and more to look forward to tomorrow. Under laws regarding superannuation it is a necessity that SMSFs have their accounts, statements and compliance audited each year. 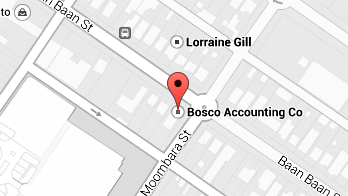 At Bosco we can carry out these audits, making the process as simple and pain free as possible. Self managed Super funds can seem like a daunting prospect, but Bosco can help by providing the administrative services that are required to keep a SMSF up and running smoothly. By handling the administrative responsibilities of your SMSF, we give you more freedom to plan your finances the way you want them to work.